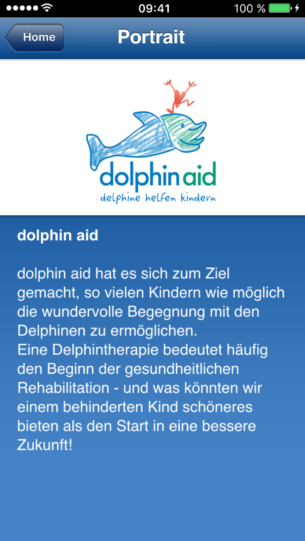 Simply open the app and click on the donation button to help children who need a dolphin therapy. 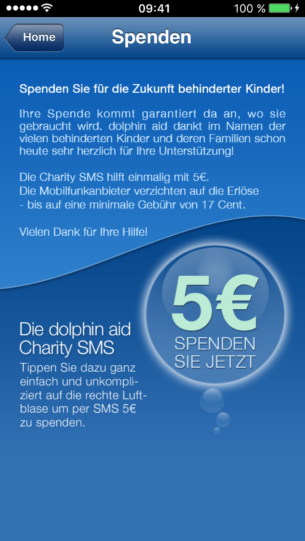 The ‘Dolphin Aid’ charity app gives you the option to support handicapped children via a special function of SMS-donation. 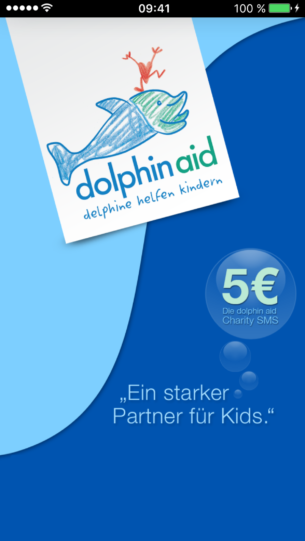 Simply open the app and click on the donation button to help children who need a dolphin therapy. You can pay conveniently via your mobile phone bill. 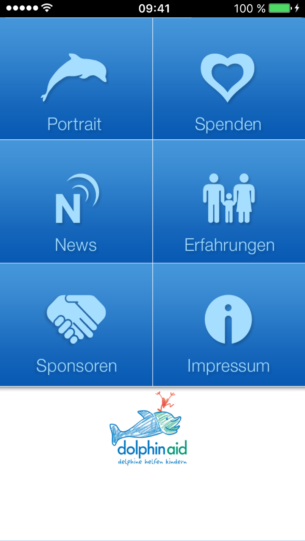 In addition to news, you can also retrieve information on the personal field reports of affected parents. Please help with your donation! Field reports about dolphin therapy.